Gaping Void explains what MADPHX is all about in this piece work. In Hugh’s latest Newsletter he says it so well. 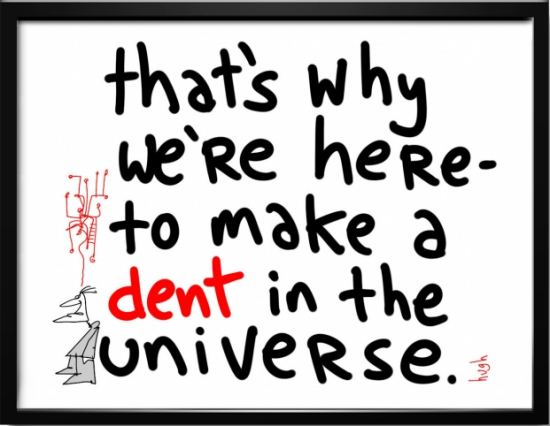 It was always Steve Jobs’ mantra: “Let’s make a dent in the universe”.